Our evidence-based analysis on creatine features 21 unique references to scientific papers. Do you remember what you felt after your very first cup of coffee? Excitement and a remarkable ability to focus — maybe even euphoria. Compare that with the “slightly less sleepy” feeling that followed your fifth cup this morning. Depressing, isn’t it? So, what happened since that first, magical sip? Found notably in tea and coffee, caffeine is the world’s most popular stimulant. In some people, it can promote anxiety, but we usually associate a cup of coffee with happiness, and for some of us, even relief. Unfortunately, only people who aren’t used to caffeine will experience truly euphoric effects. Chances are, if you’re a coffee lover, you’ll mostly experience caffeine’s awakening effect, not much else. Drinking coffee just once a day is enough to increase your caffeine tolerance. And before you reach for that second cup, remember, caffeine tolerance is an insurmountable tolerance: At some point, taking more will just stop working. If you want to maximize the benefits of caffeine, you may want to try weaning yourself off it, to allow your tolerance to fade. Caffeine can block different adenosine receptors in the brain, with varying effects. By blocking the A1 receptor, which promotes sleepiness when activated, caffeine can increase alertness. By blocking the A2A receptor, caffeine can increase dopamine levels, which has stimulating and mood-enhancing effects. The A1 receptor doesn’t seem to get desensitized, which may be why caffeine doesn’t lose its awakening effect. The A2A receptor does get desensitized, however, which is why coffee veterans don’t feel true stimulation even after drinking several cups. By increasing catecholamine signaling (adrenaline and dopamine), caffeine can benefit mood and focus. 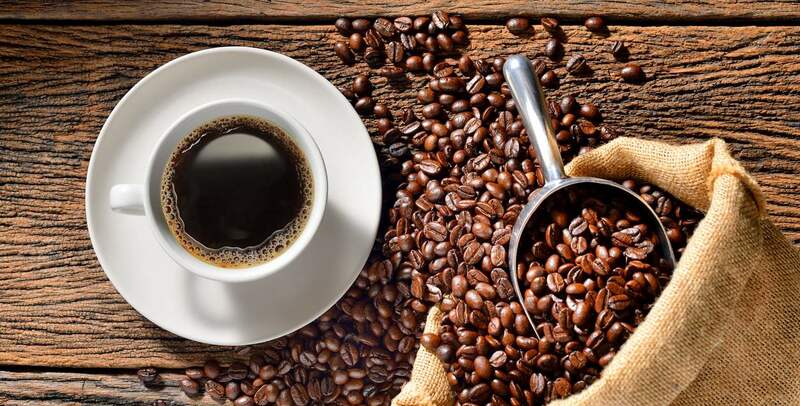 When you drink coffee regularly, however, your dopamine production downregulates, so that you need caffeine just to regain normal levels — at this point, the increase in focus you feel may just be withdrawal reversal. Furthermore, caffeine can reduce the working memory even of people who don’t usually drink coffee, perhaps because of overstimulation. On the whole, however, caffeine can help “caffeine naïves” perform better than normal and is needed by “caffeine veterans” to perform normally. A caffeine dose of 400–600 mg is one of the most reliable and potent ways to temporarily increase strength through supplementation. People who seldom consume caffeine will typically experience improved power output during anaerobic exercise, including resistance training. Caffeine can also play a role in recovery post-workout, whether you’re caffeine naïve or caffeine tolerant. Ingesting caffeine alongside carbohydrates can improve the rate of glycogen replenishment, which is particularly important if you work out very frequently or multiple times per day. Two distinct effects contribute to caffeine’s fat-burning properties: a thermogenic effect (in the short term, caffeine increases heat production) and a weaker lipolytic effect (in the long term, caffeine causes triglycerides to release fatty acids, which the body can then use for fuel). More precisely, caffeine can increase the body’s levels of cyclic adenosine monophosphate (cAMP). Elevated cAMP levels are associated with lower triglyceride levels in fat cells and improved protein synthesis in muscle cells. How do you maximize the benefits of caffeine? Use less of it. Or to be more specific, use it less frequently. It may be difficult, but capping off your caffeine intake to once or twice a week is the best way to get more from each cup. Want to get the most from each sip? Click here to figure out if you should you start cycling caffeine.